Through Sept. 27 at the Gateway, Z’Tejas is hosting its annual Chile Fest, showcasing the art of cooking with chiles. This month, Z’Tejas will roast more than 1,000 pounds of Hatch chile peppers from New Mexico, using them in chile-infused entrees, appetizers and even,desserts. Said Z’Tejas executive chef Todd Gardiner, “The chile harvest is the best time to show off the great flavor and versatility of chiles.” Personally, I just enjoy the scent of roasting chiles in the air at the Gateway. 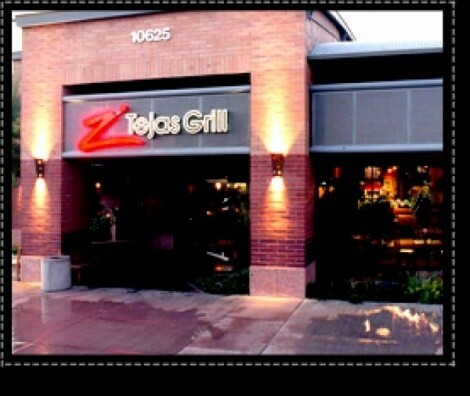 During Chile Fest, Z’Tejas donates $1 sold to the Lance Armstrong Foundation for every Chile Fest menu item. Among the new menu items for this year’s Chile Fest at Z’Tejas are: New Mexico chile barbacoa tacos; a green chile burger; green chile pork rellenos; seared chile-crusted scallops; spicy Baja shrimp tacos and hazelnut chile cheesecake brownies. Featured Chile Fest drinks include a hibiscus Margarita, Corona beers and Hornitos tequila spicy Paloma. For more Z’Tejas Chile Fest information, phone 801-456- 0450 or visit ZTejas.com. It’s time again for the annual Fall Downtown Dine O’ Round. By now, you probably know the drill: Thirty-one of Salt Lake City’s downtown restaurants will be serving a three-course dinner for $15 or $30 per person and some restaurants will also feature a two-course $10 lunch. The Dine O’ Round runs through Sept. 27. According to Jason Mathis, executive director of the Downtown Alliance, “With more than a dozen new restaurants opening in the past few months, dining in Utah’s Capital City has never been more dynamic.” For a complete list of Downtown Dine O’ Round participating restaurants, visit Dineoround.com. Himalayan Kitchen has moved into spacious new digs at 360 S. State, just around the corner from its old location on 400 South. So the next time you’re hankering for Himalayan’s momos, head for State! You can phone the Himalayan Kitchen at 801-328-2077.